I can count the number of thong sandals I own on one hand. 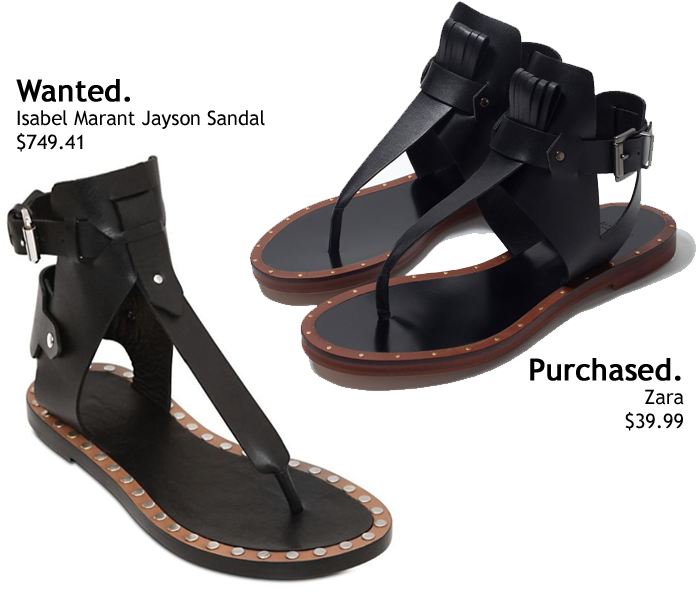 Generally, they're not the style of sandal I gravitate towards, but the Jayson Isabel Marant sandals are everything. Put simply, I can't afford Isabel Marant shoes so I was ecstatic when I saw Gaby, from The Vault Files, post about her Isabel imitation sandals from Zara. The Zara sandals I purchased are amazing. They are so comfortable and stylish I could easily wear them everyday. These shoes were definitely a great find.